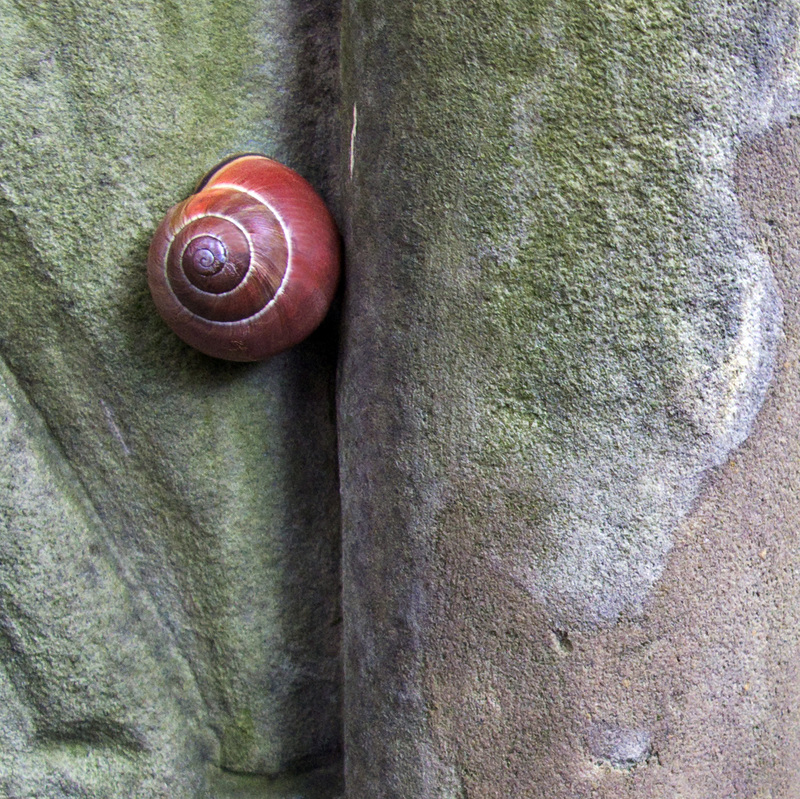 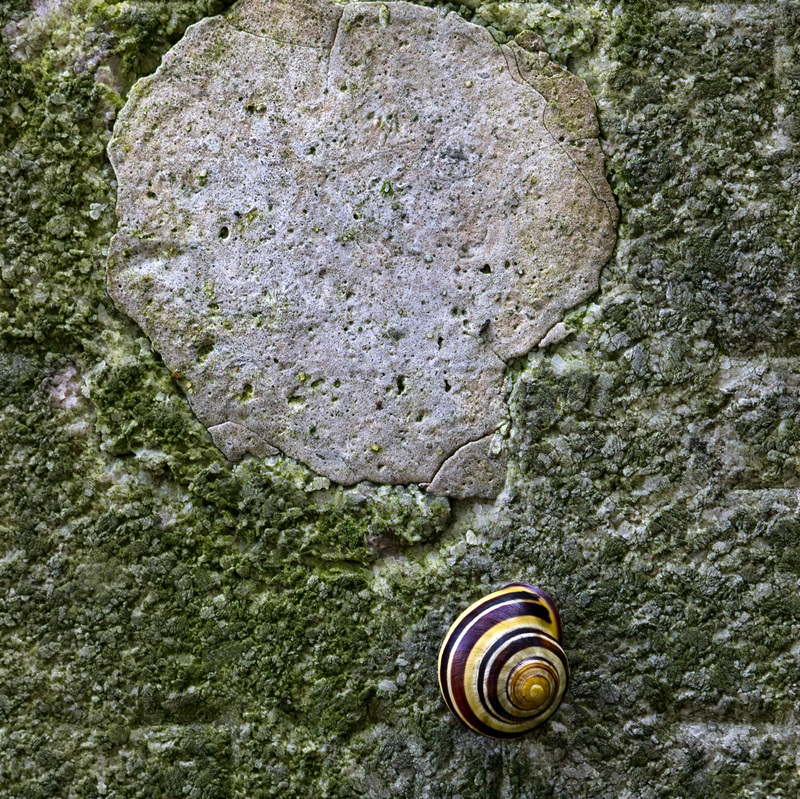 someone has visited you / left a small stone to share / intimate thoughts with a snail / bonding with life inside the shell. 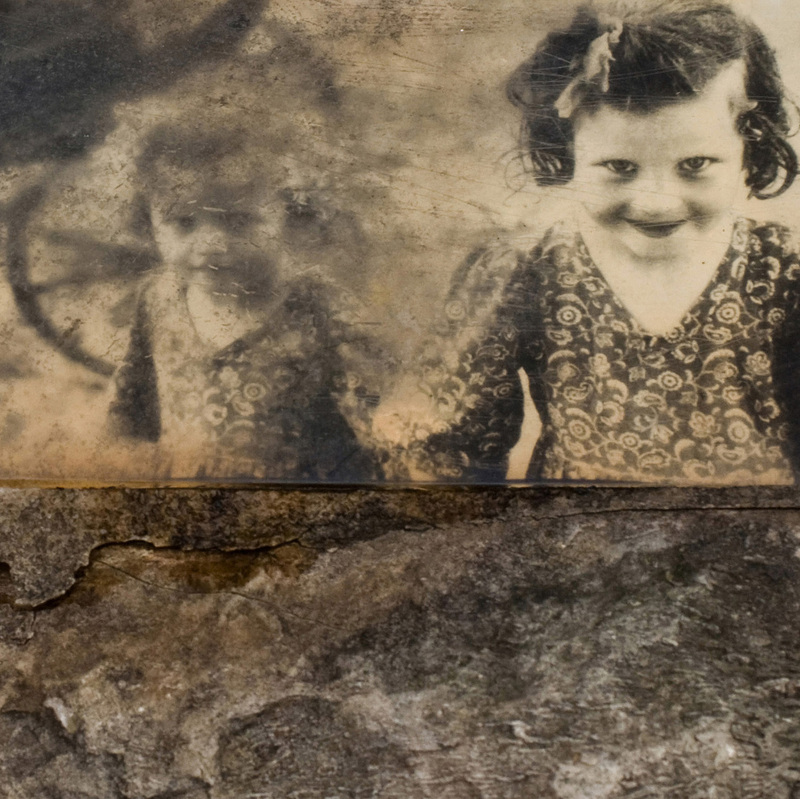 Monologue of the Lens Series is a document of details. 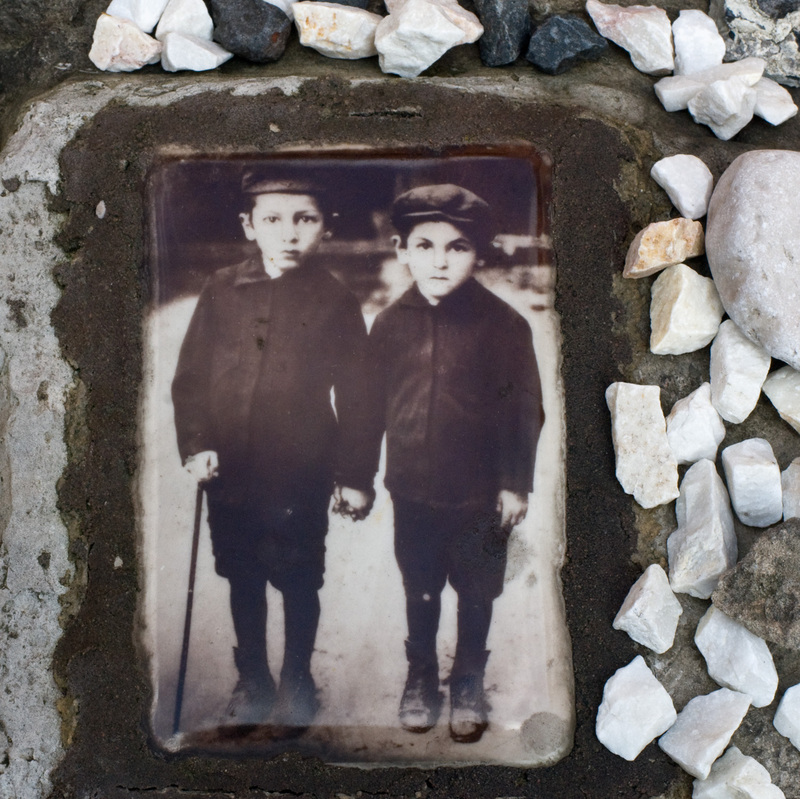 It is a meditation on time and memory... 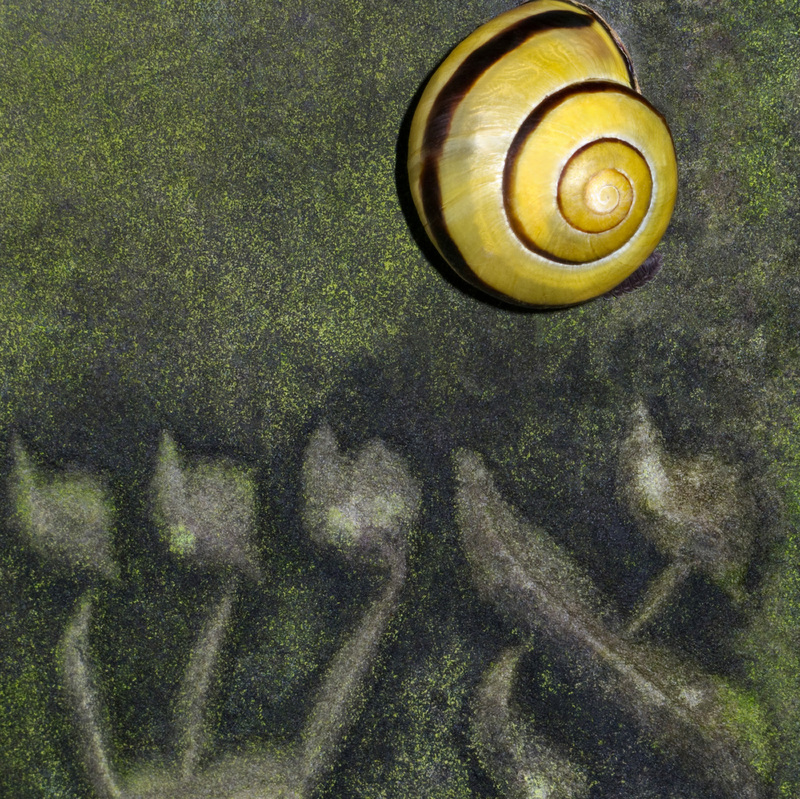 In their silent universe - the snails, the stones were simply there, so were the faces of the children. 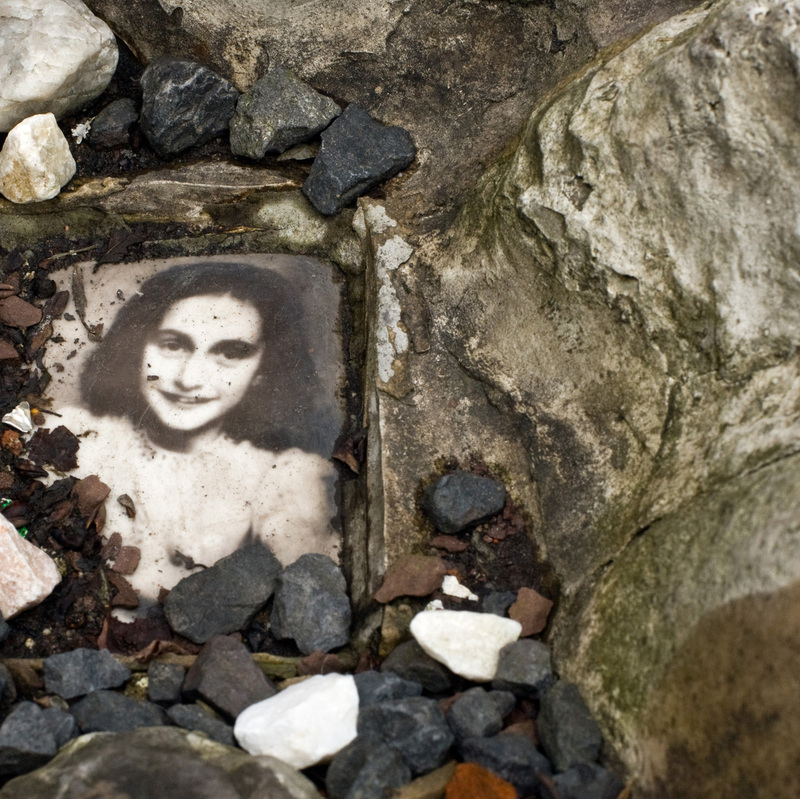 I recognized one, the face of Anne Frank, a fragment of many faces from the Children's Memorial Monument build in memory of one million of Jewish children who died during the Second World War. 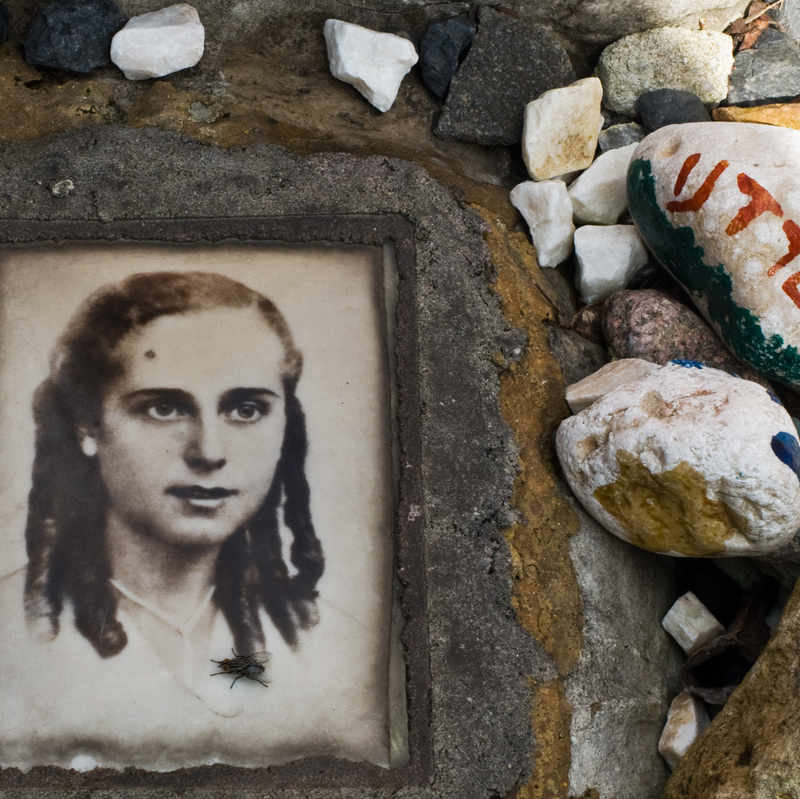 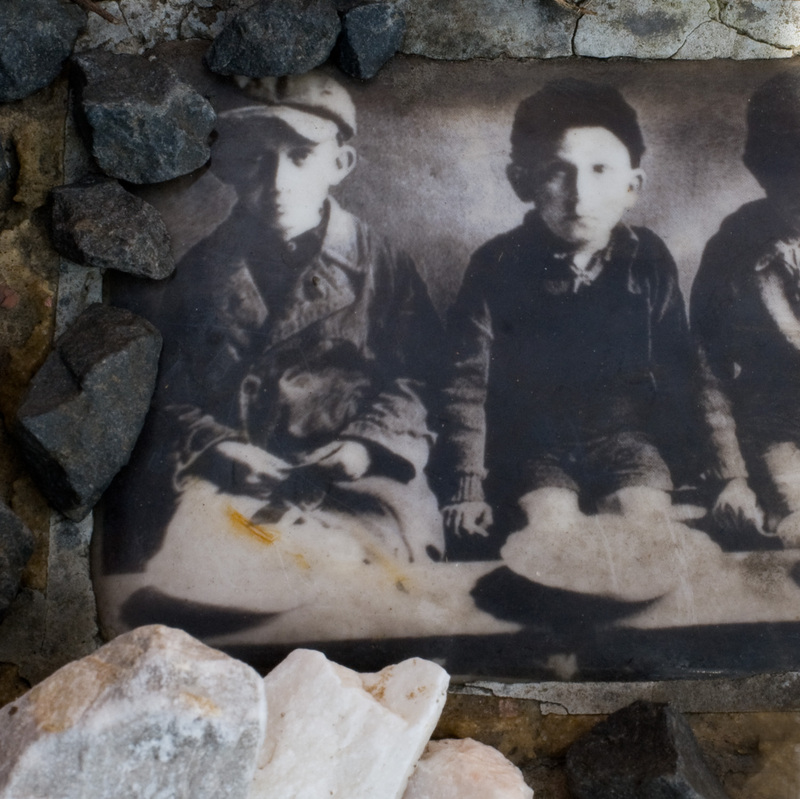 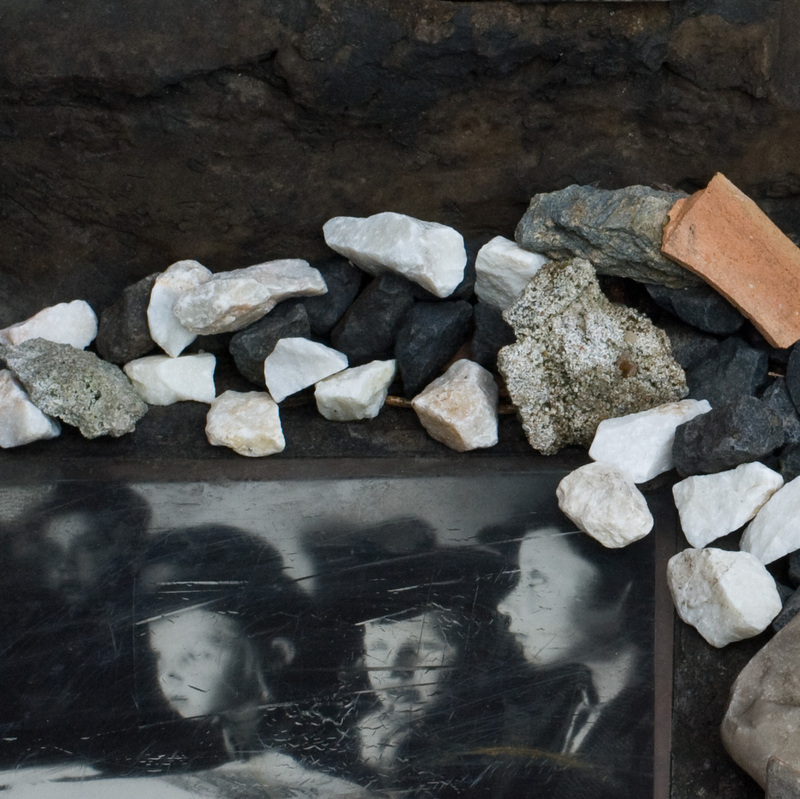 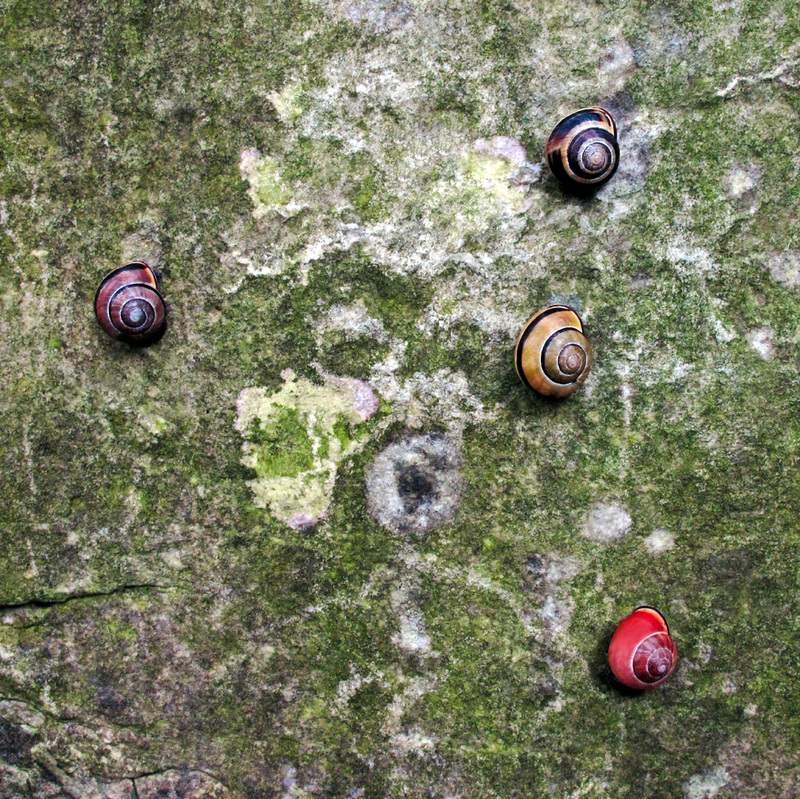 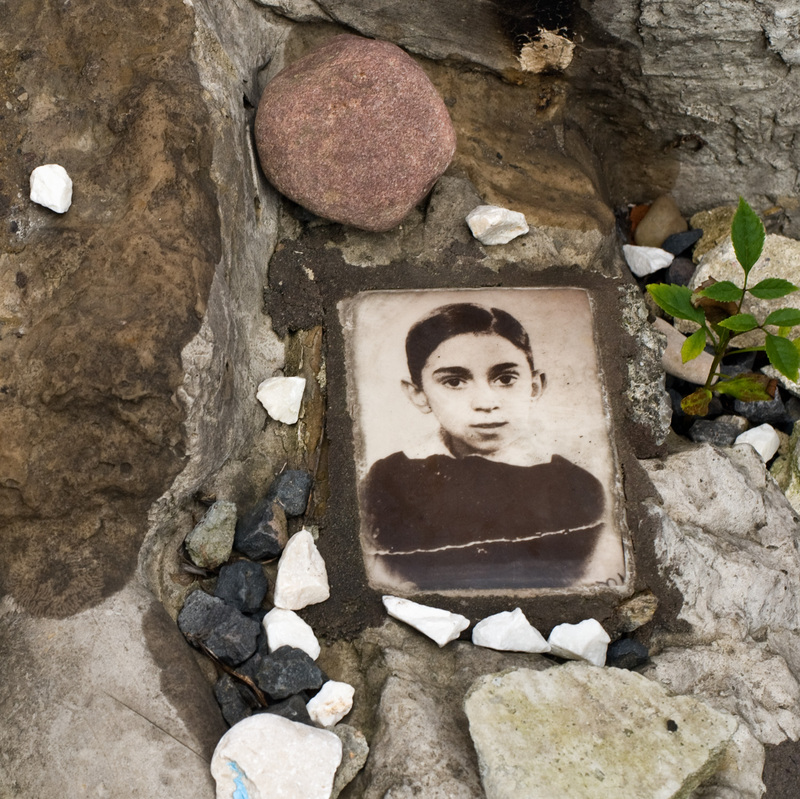 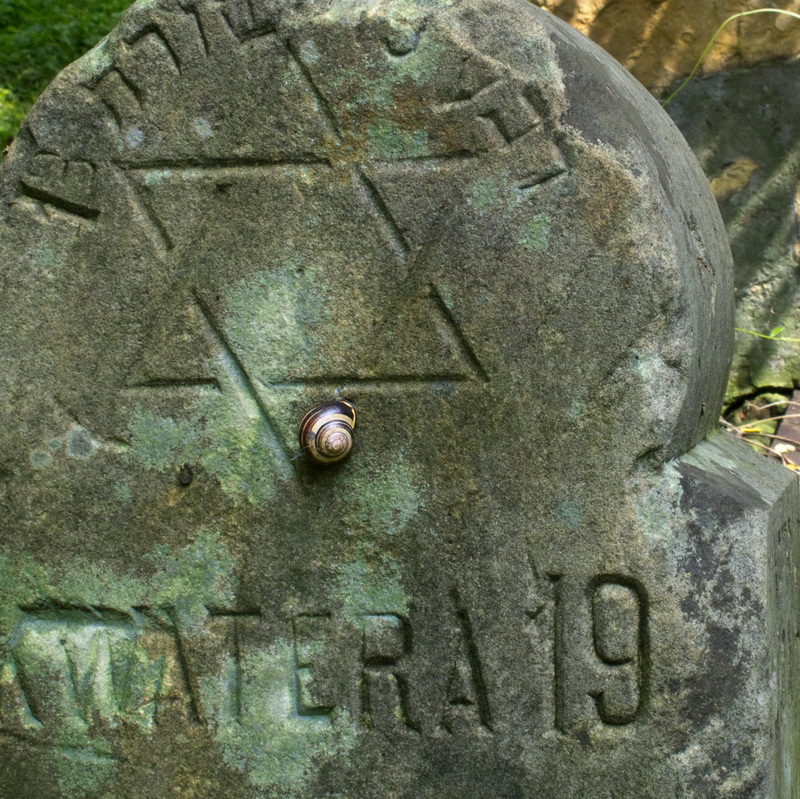 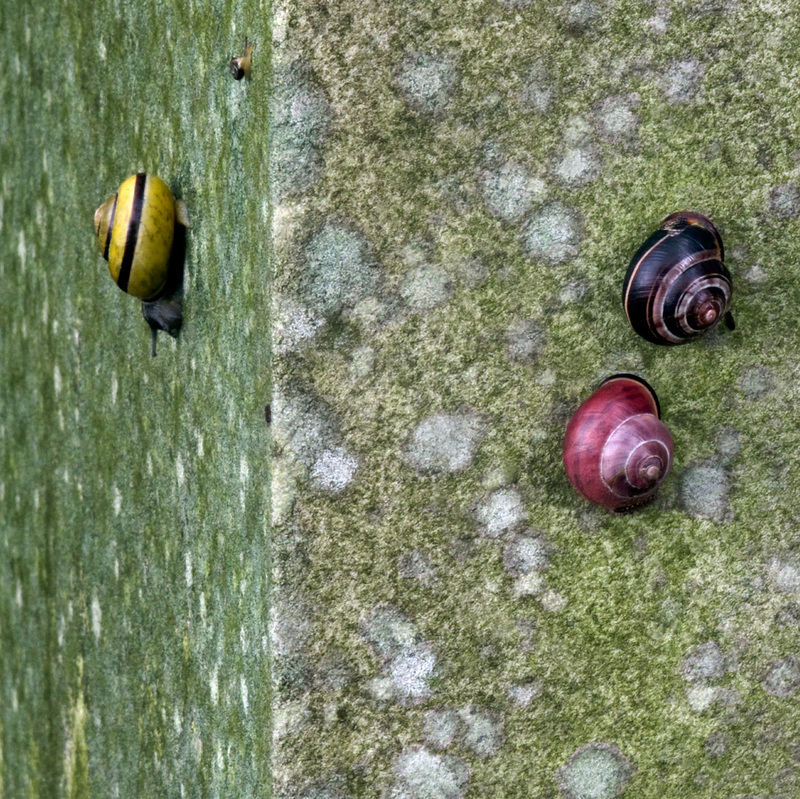 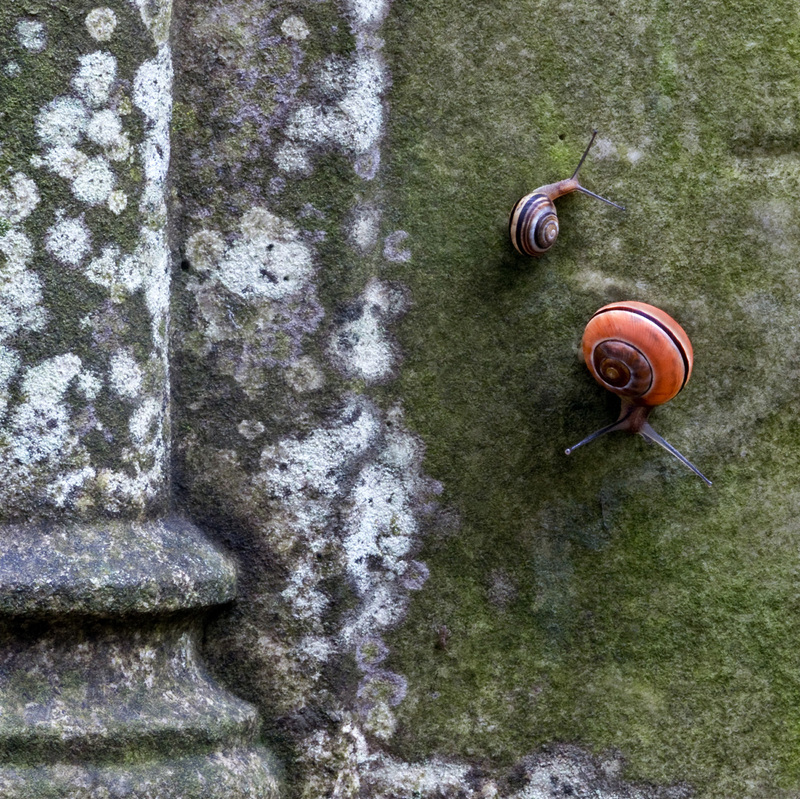 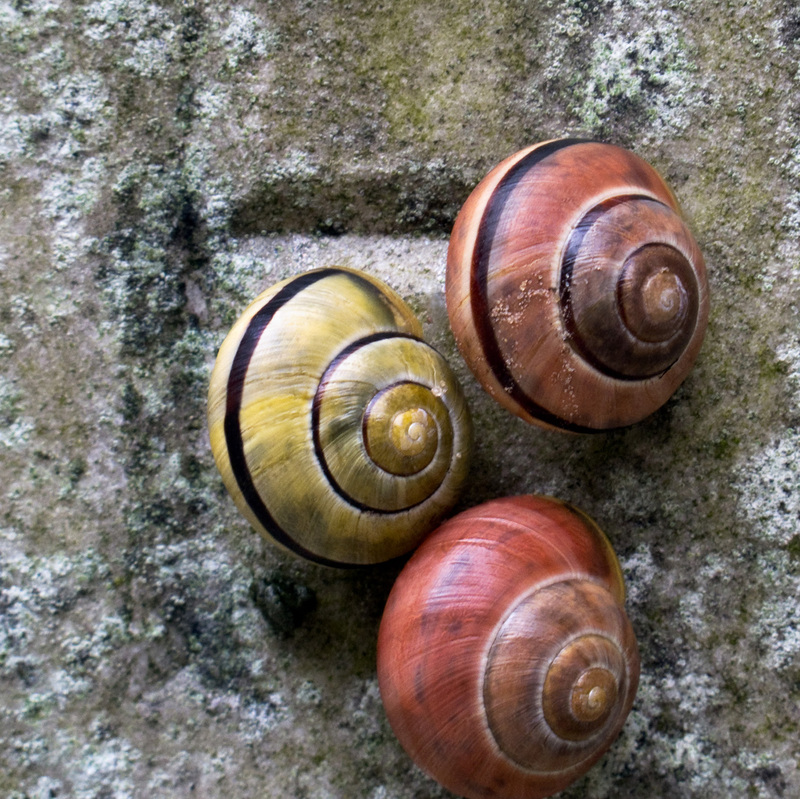 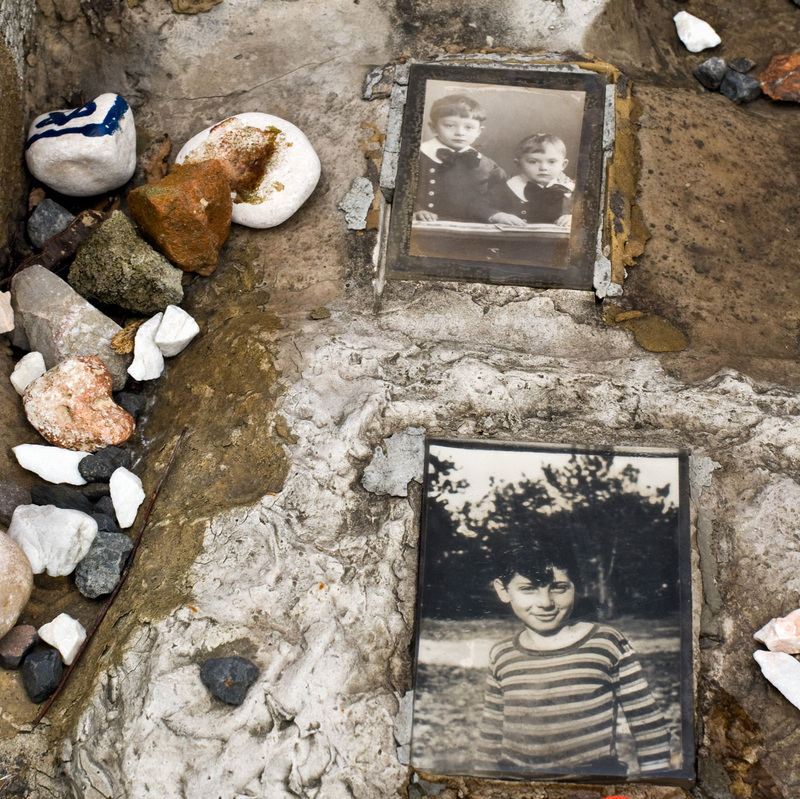 The aged gravestone, the colorful snails and photographs of children faces surrounded by stones connected and guided the reality of my experience. 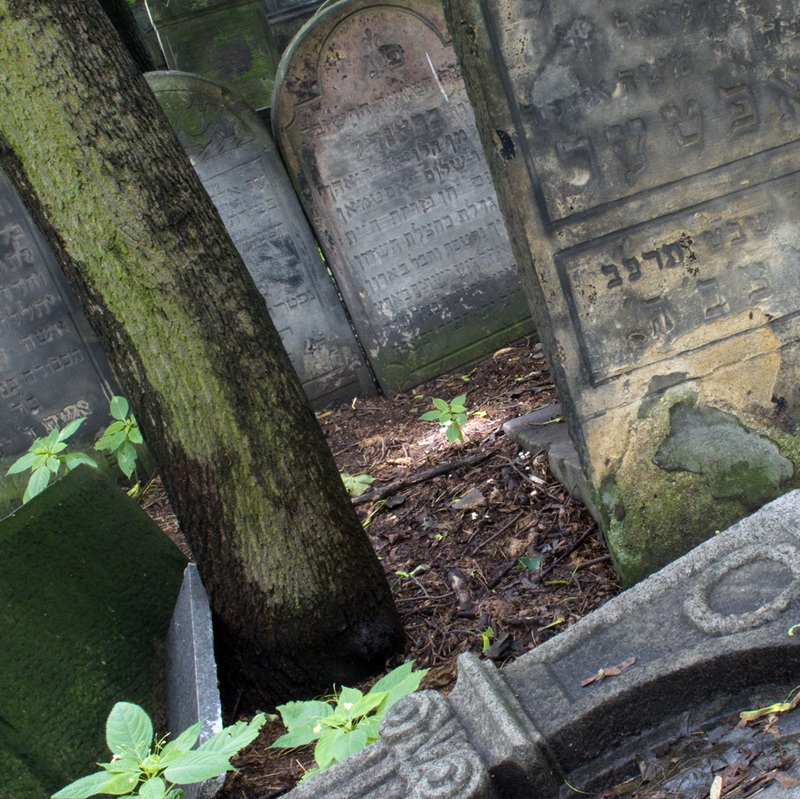 All the photographs are from the Jewish Cemetery in Warsaw with the exception of the last image, which is an interior of Orla Synagogue located in Northeast/Eastern part of Poland near Bialystok. 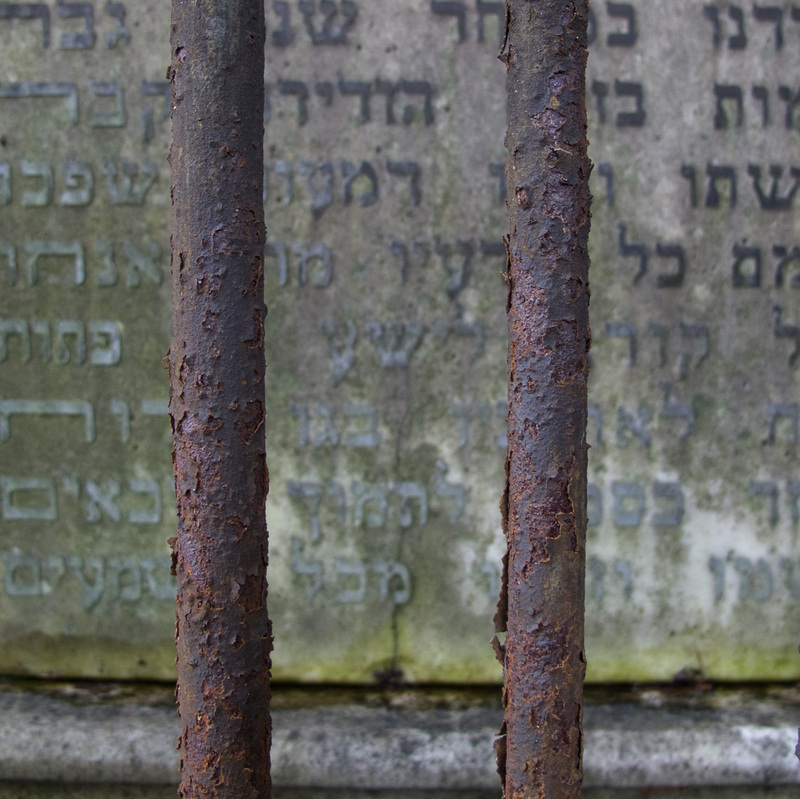 Orla Synagogue is often called Forgotten Temple and it does not appear on any tourist map. 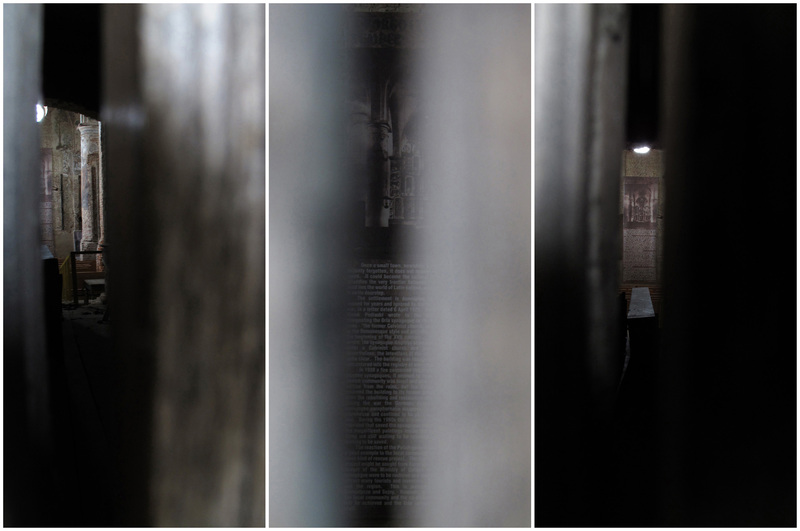 The photograph is the “lens” peeking through the small opening in the door, which was chain and locked.